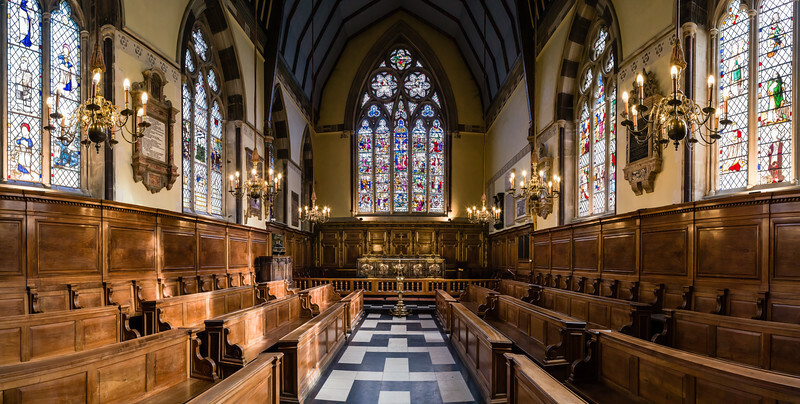 Architectural treasures, the inside of churches and cathedrals in the United Kingdom and further afield. York Minster, Chapter house windows and ceiling. 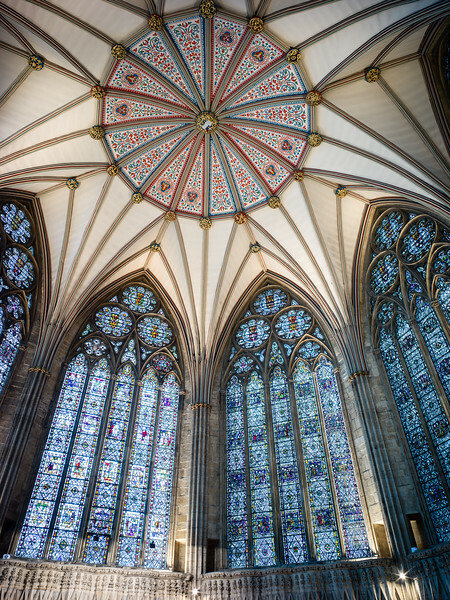 Magnificent York Minster, looking up inside the Chapter house. York, Yorkshire, England. 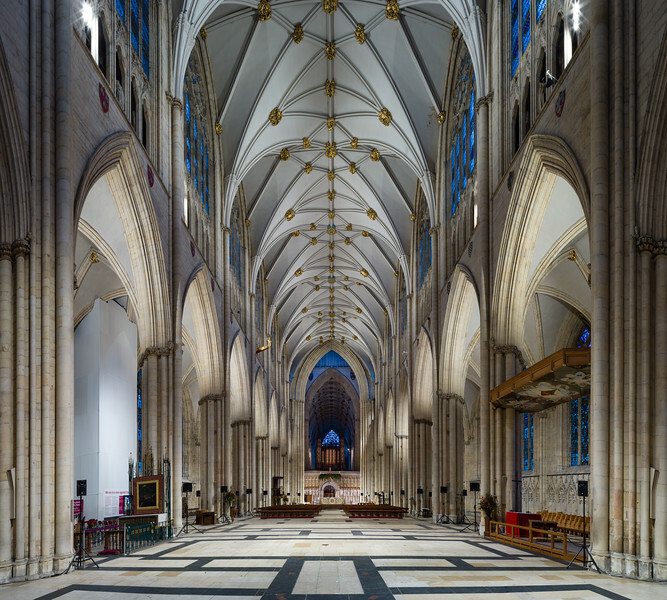 Looking down the Knave, York minster, York, Yorkshire, England. The Cathedral de St. Pierre, Liseaux, Normandy, France. 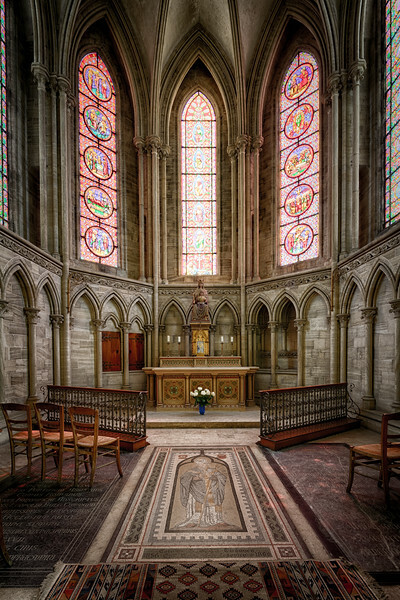 A small side chapel with mosaic floor inside La Cathedrale de Bayeux, Bayeux, Normandy, France. 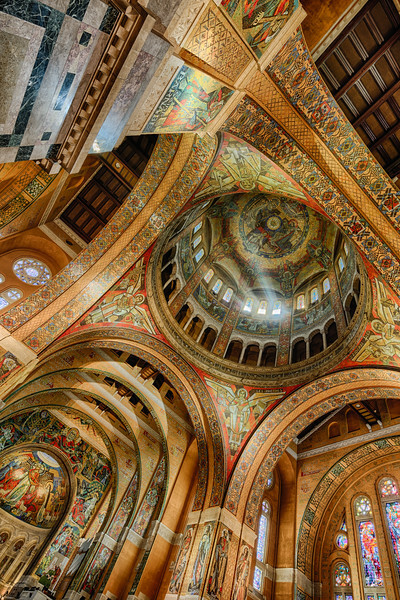 The Dome, Basilica de St Therese, Liseaux. Looking straight up beneath the dome of the Basilica de St Therese, Liseaux, Normandy, France. From the main entrance looking down the length of the Basilica de Saint Therese, Liseaux, Normandy, France. Sunlight streams through the upper windows surrounding the dome. 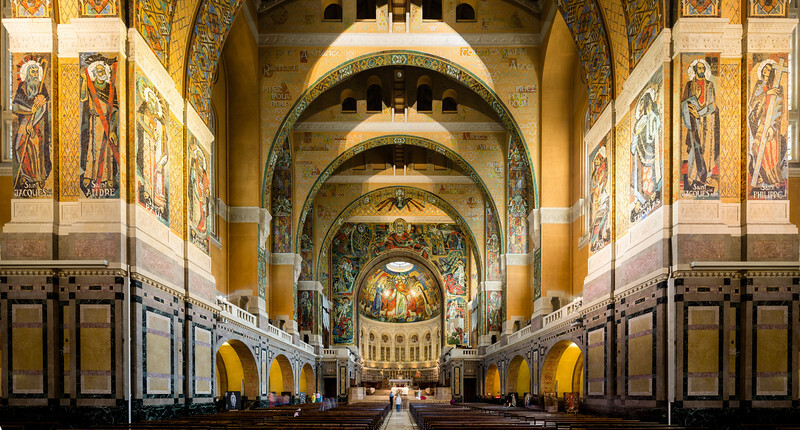 Basilica de Saint Therese, Liseaux, Normandy, France. 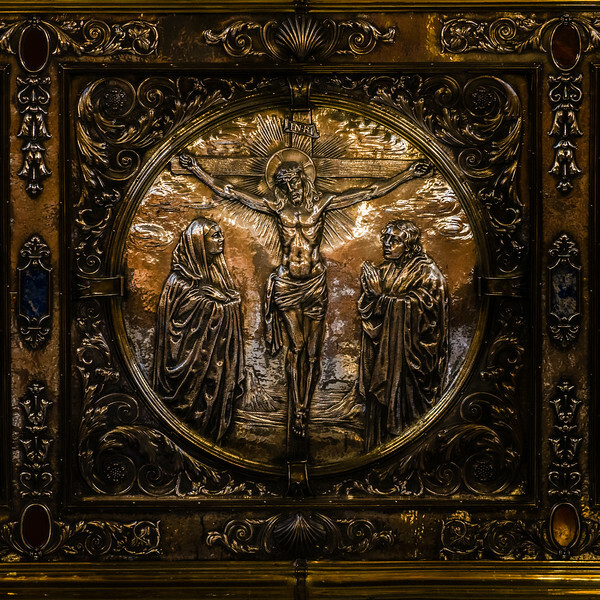 Alter Detail, Chapel, Balliol College. 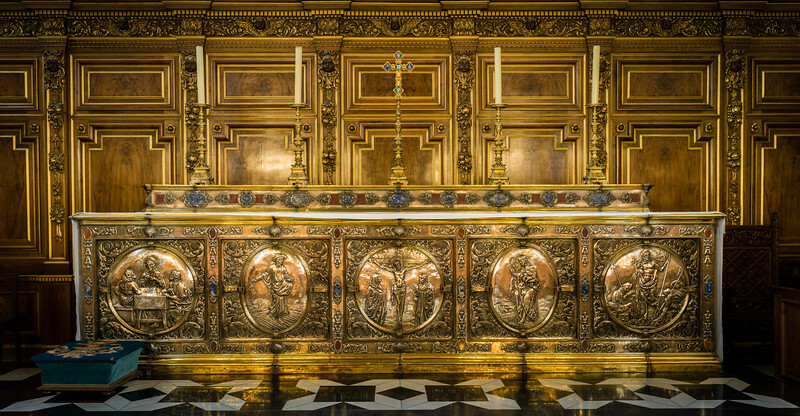 Ornate patterned metal work on the alter inside the chapel, Balliol College, Oxford, Oxfordshire, England.